eTribez is pleased to announce a major worldwide partnership agreement with Endemol Shine Group (ESG). Under this exciting new agreement, eTribez will provide its eTribez Casting™ solution for ESG worldwide in 35 countries. With the understanding that the digital sphere is essential for ESG’s success as the world’s leading global production group, and as part of their strategy to provide global production solutions, ESG will be able to utilize an integral component of the eTribez suite of products. eTribez Casting provides a full-featured solution that will help ESG productions save time, financial resources, and manpower. By selecting the most innovative and proven system in the market today, ESG and its operating companies will be able to sustain a competitive advantage, and can provide cutting-edge solutions to power its industry-leading productions worldwide. After months of hard work and dedication from the eTribez team, our new website is here! The official launch came this week, and features a sharp new design, all new content, and a user-friendly interface and navigation designed to highlight all of the great solutions and services that eTribez provides to our clients. Check it out at www.etribez.com. Online casting for ‘The Voice Kids’ has gone live. Produced by ITV Studios, The Voice Kids will allow UK kids aged 7-14 to compete to be one of the most unique and distinctive voices to make it to the final auditions, and perform for the celebrity coaches. ITV has ordered The Voice for three series, and The Voice Kids for two series. This marks the first time The Voice Kids has been brought to the UK. Online casting for the show will run through September 2nd, and the show will premiere on ITV in 2017. For a look at the eTribez iFrame-based URL, see:http://www.itv.com/thevoiceuk/apply-for-the-voice-kids. 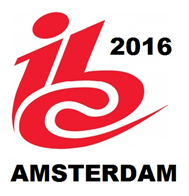 rom September 8-13, 2016, eTribez will be attending the IBC show in Amsterdam. IBC is the premier annual event for professionals engaged in the creation, management, and delivery of entertainment and news content worldwide. To schedule a private demo with eTribez at IBC, contact us.